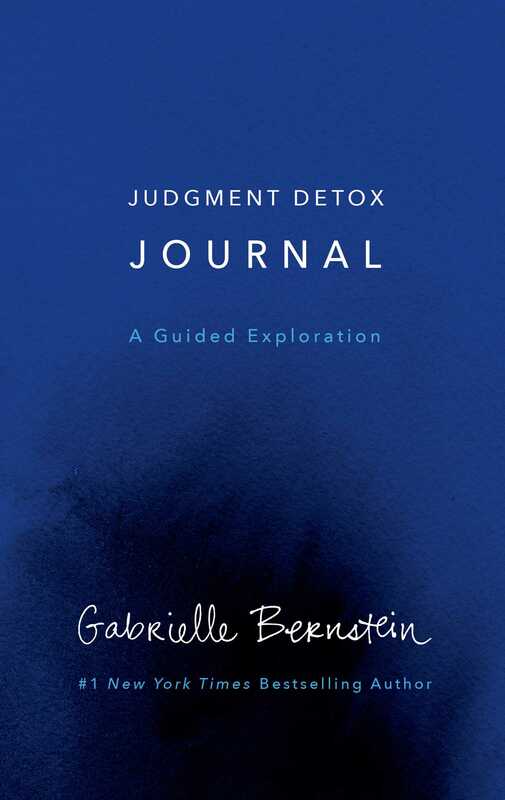 The transformational companion journal based on #1 New York Times bestselling author Gabrielle Bernstein’s new book Judgment Detox. In Judgment Detox, Gabrielle Bernstein explains how judgment—both being judged and judging others—is at the core of our discomfort. While it’s powerful, judgment isn’t complicated. It’s simply a separation from oneness. The moment we see ourselves as separate we detour into a false belief system that is out of alignment with our true nature. That separation, often a reflection of our own insecurities projected onto others, keeps us feeling alienated and alone. The Judgment Detox Journal allows you to follow the step-by-step program outlined in the book Judgment Detox and chronicle a path to releasing the beliefs holding you back from living a better life. The journal follows the 6 steps in the Judgment Detox, with guided prompts for reflection around each specific theme. You will complete exercises in acceptance and self-forgiveness; guided meditations; as well as complete a 30-day tapping practice, tracking your Emotional Freedom Technique (EFT) and reflecting on tapping through judgment. With check-in sections, you will have ample opportunity to track and celebrate your success. Filled with encouragement and insight from Gabrielle, this step-by-step journal offers a path to true healing, oneness, and a deeper connection to the universe and those around us.